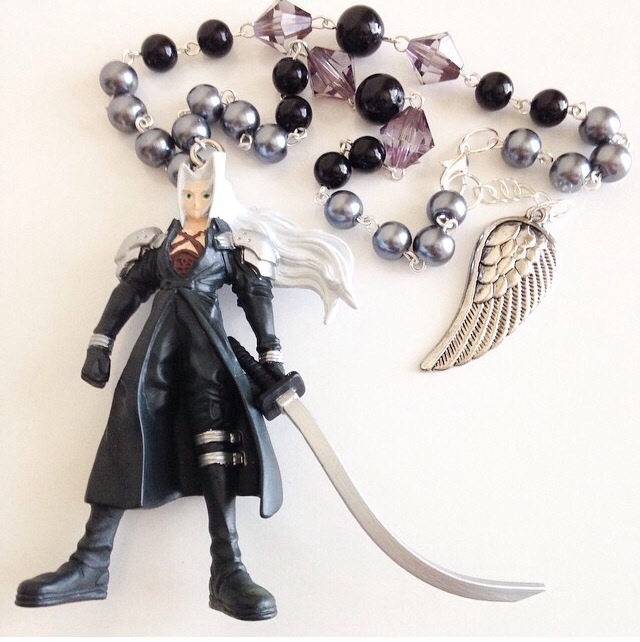 Sephiroth Rear View Mirror Charm. A beautifully beaded rear view mirror charm featuring a rare official 1993 Sephiroth figure from Final Fantasy!. Wallpaper and background images in the Final Fantasy VII club tagged: photo sephiroth final fantasy.